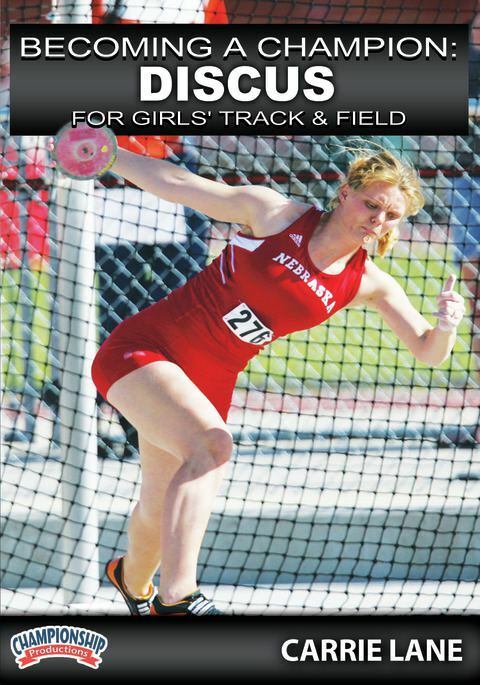 Carrie Lane, former Throws Coach, of the powerhouse University of Nebraska track and field program takes you through a step-by-step plan to developing champion discus throwers! Coach Lane identifies key focal points for successful discus throwing, including: Balance & Posture, Maintaining Separation, Maximizing Discus Orbit, and finally the all-important Kinetic Linking. These topics are discussed as a former Husker athlete demonstrates. Lane introduces the correct grip of the discus and drills to develop this skill. She also introduces standing throws, with relevant coaching points and cues to develop the proper posture and positioning to ensure quality throws. By using the “Toe-Knee-Hip” concept, she gives athletes and coaches a valuable and easy set of cues to set up a strong throw. The Wheel Drill, Spider-Man Drill, and variations of the South African drill are all demonstrated with coaching points addressed.